Are you looking to leave a lasting impression with your gift choice? We advice you to look no further than our Delightfully Gourmet gift basket! 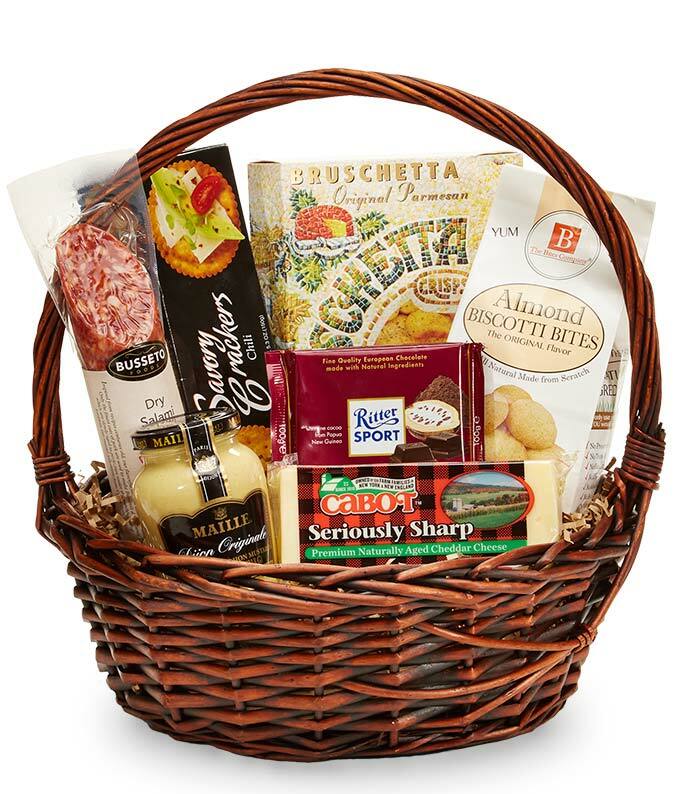 Quality meats, cheeses, crackers and sweets are generously arranged in an aesthetically pleasing woven keepsake basket. Your recipient will be blown away by your generosity! Please note: gourmet food variety may vary.